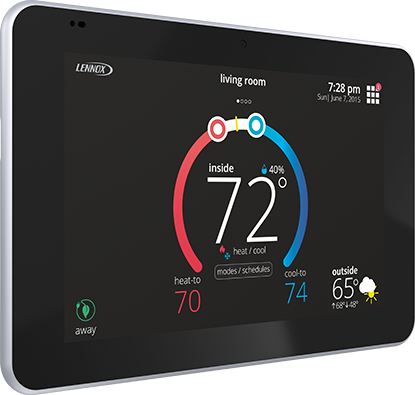 Makes it possible for dealers to use their mobile device to adjust system parameters to fix problems, without ever making a trip to your home System Compatibility Works with premium Lennox communicating equipment only. 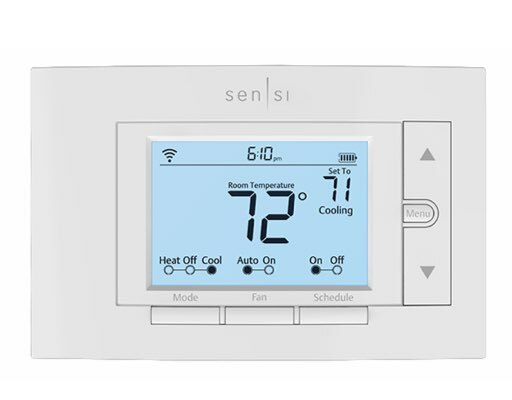 The award-winning Sensi Wi-Fi Thermostat is now compatible with Apple HomeKit. Plus, our Contractor-On-Call feature puts your company information at your homeowners’ fingertips. Geofencing automatically changes temperatures based on the location of the homeowner’s smartphone. Smart alerts notify homeowners of extreme temperature or humidity levels. Compatible with smart home platforms Apple HomeKit, Amazon Alexa and Wink. The Sensi app stores your contact information so when your customer needs service, you’re just a tap away. With features like geofencing, flexible scheduling and remote access, homeowners can save money without compromising their comfort. Easy management for schools and light commercial applications.